The Sparco Eagle RS-8.2 has been newly designed for the 2018 season. 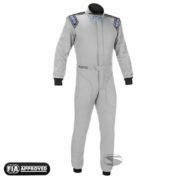 The race suit is constructed using a mixture of cutting-edge Hocotex and Eagle fabric, meaning that this single layer suit is lightwieght and strong. 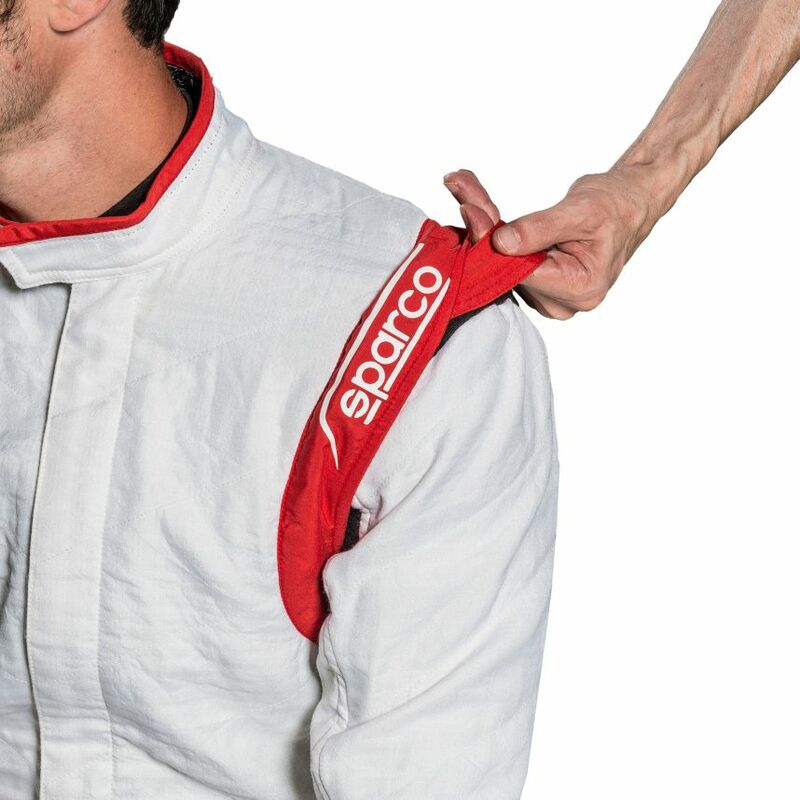 The Hocotex material is only 0.6mm thick, lightwieght and keeps the driver cool thanks to its breathable qualities. 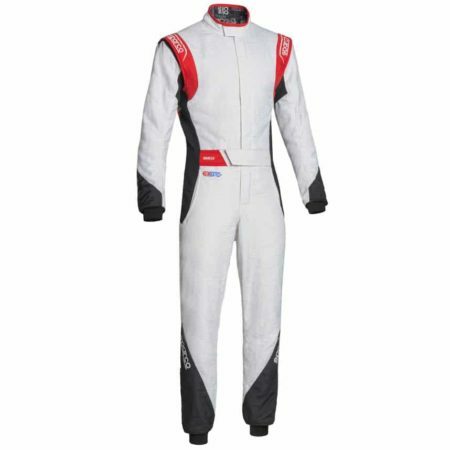 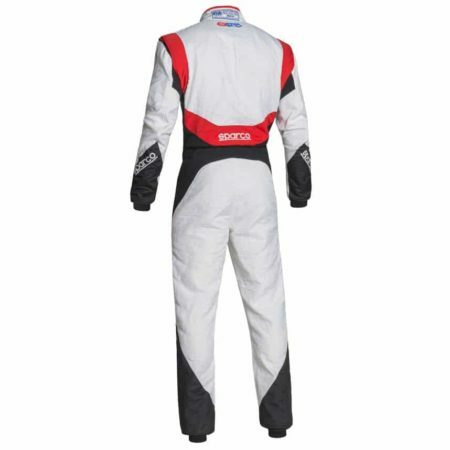 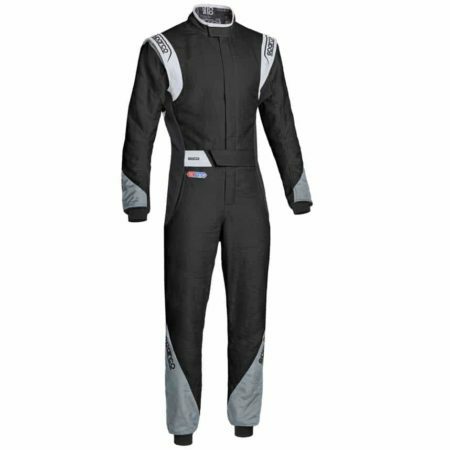 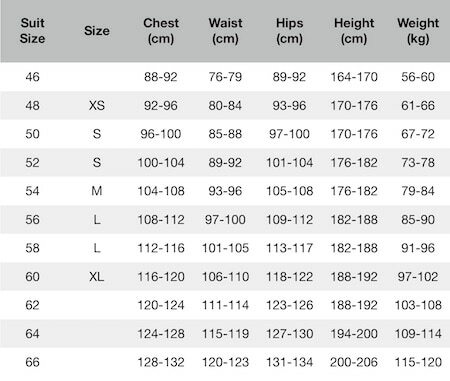 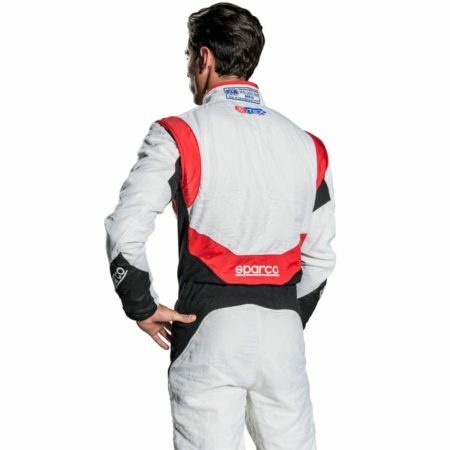 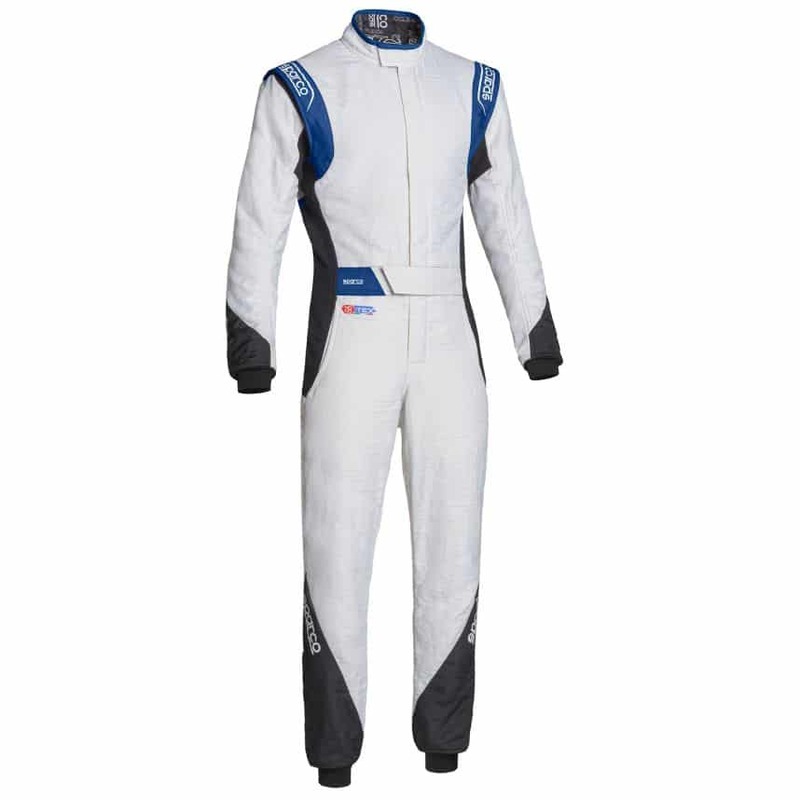 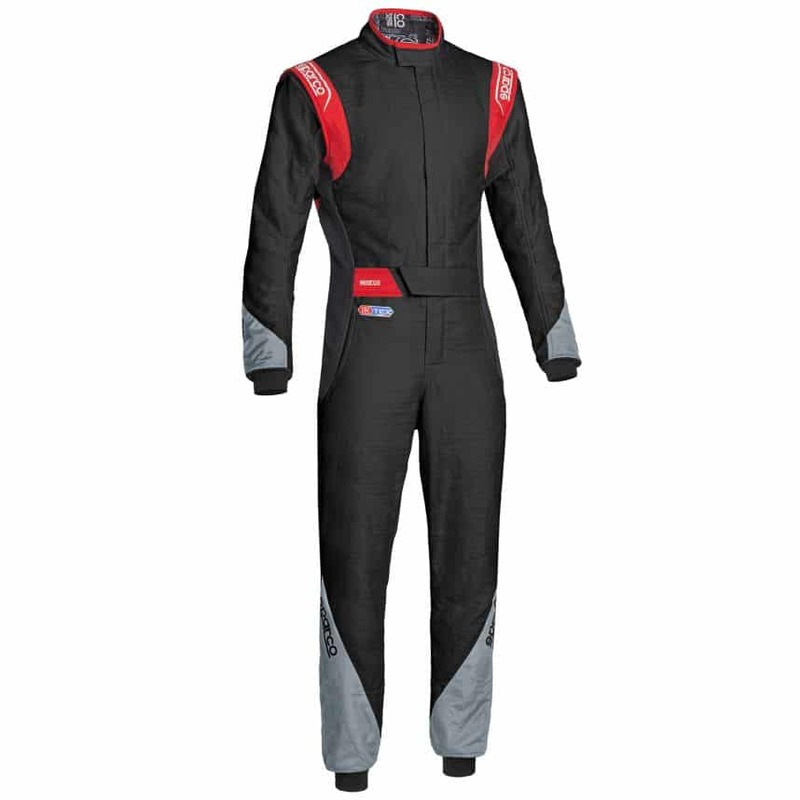 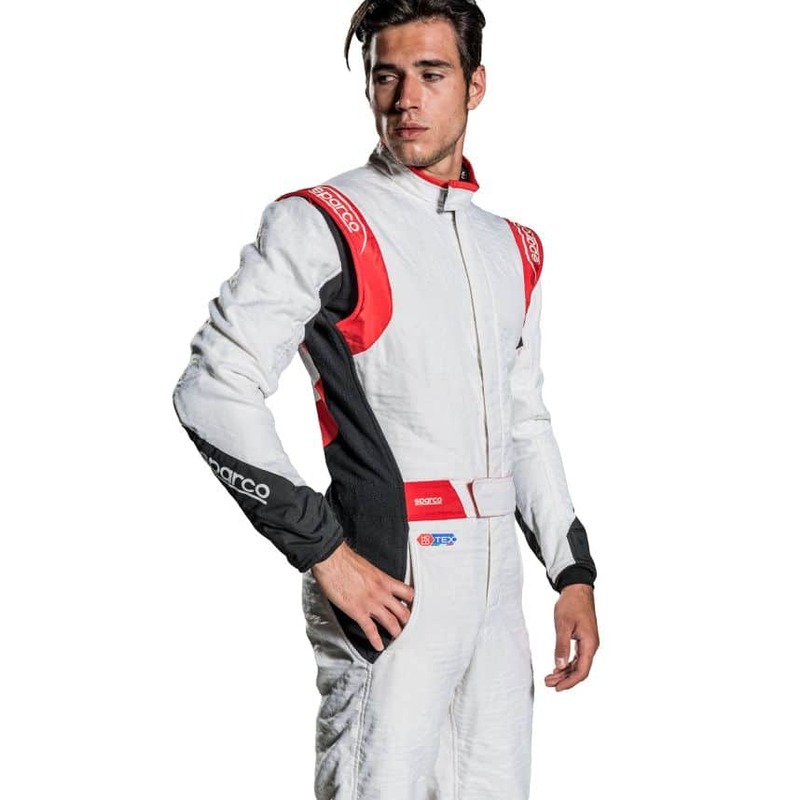 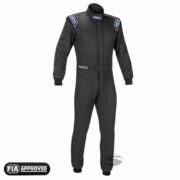 The Sparco Eagle RS-8.2 suit also features stretch panels in the underarm, sides and back areas, with a durable material on the legs and arms to keep the suit looking good for longer. The Eagle RS-8.2 is approved to FIA 8856-2000 standards meaning it can be used in motorsport around the world.